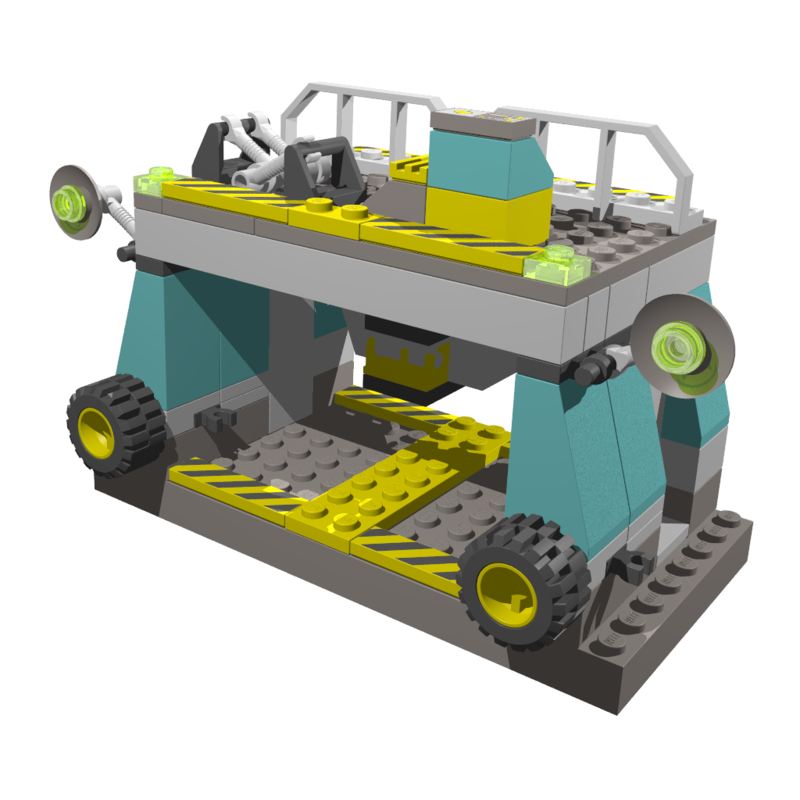 LDD, a PDF instruction manual auto-generated in LEGO Digital Designer. This means the steps are at times illogical in order, and difficult to understand. However, I have included this version because it contains a parts list, but keep in mind that parts with decals will be counted the same as identical blank parts in the list, and unsupported parts won't appear. LeoCAD, a PDF instruction manual that I created myself. The models were made in LeoCAD and the instructions designed with LPub, allowing me to define the order of the instructions. For this reason I recommend using the LeoCAD instructions. Here are zip files containing all the instructions together. Alternatively, preview and download individual models in the spoilers below. I'd like these to be as good as they can in terms of accuracy to the game/theme, and understand that I may have reproduced certain areas wrong. When the in-game model differs from the models in the booklet, I've generally prioritised the in-game model. A big thanks goes to PeabodySam for his recreations. 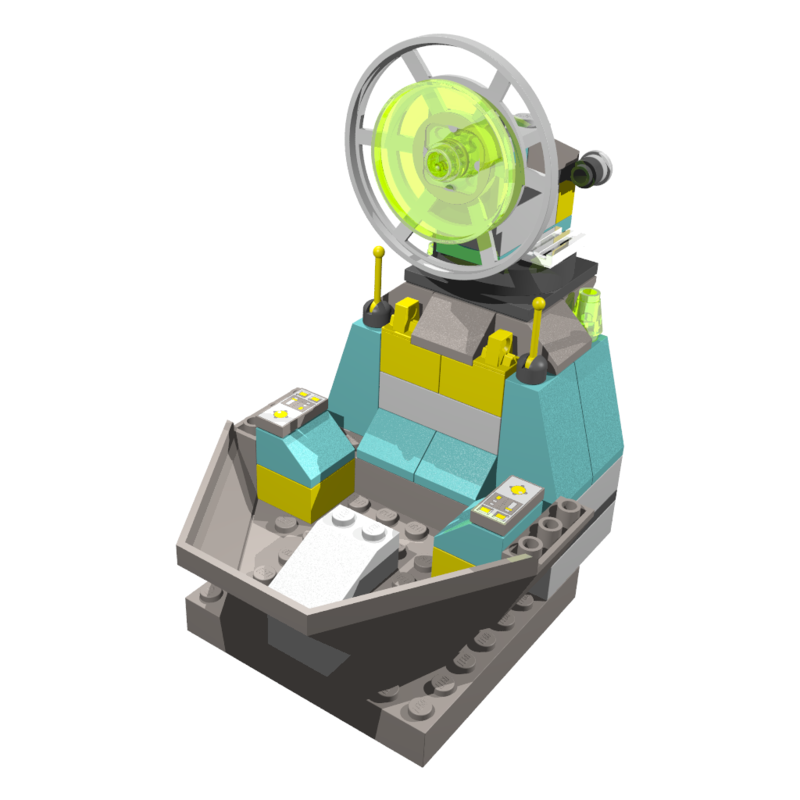 The programs used to produce these models were LEGO Digital Designer, LeoCAD, LPub, LDView and POV-Ray. Also thanks to Arthuriel for introducing me to the LDraw suite. 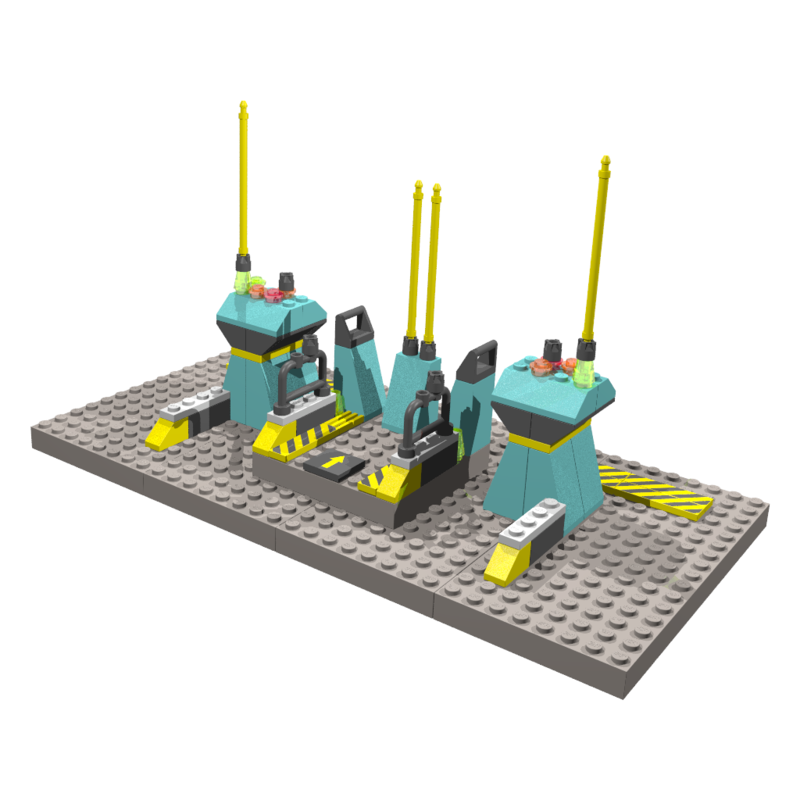 Note: Please do not edit and/or redistribute these without my prior permission (I've heard that people take freely distributed LEGO instructions and sell them). 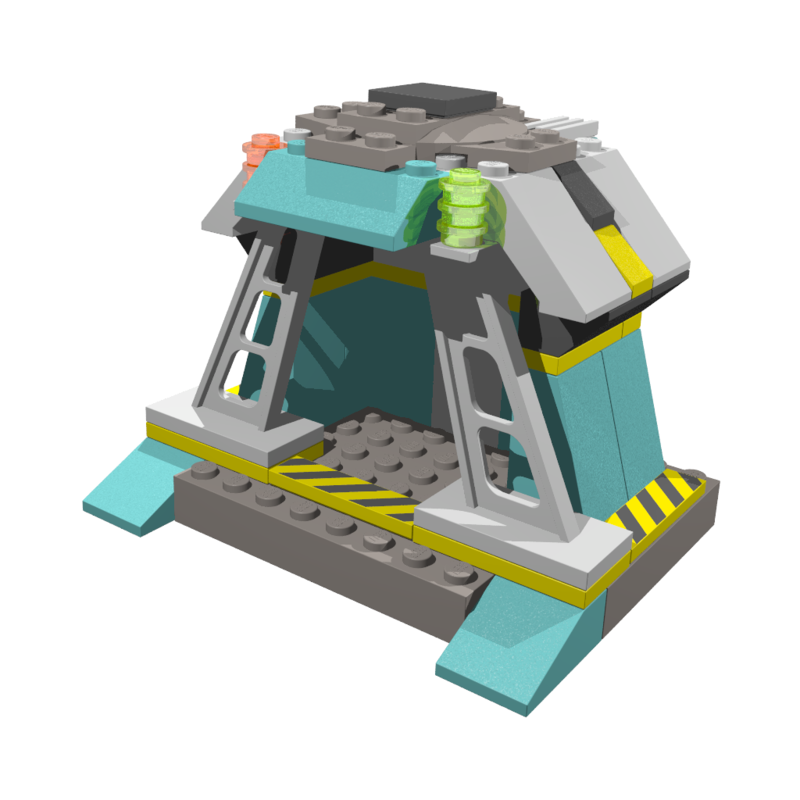 One thing I would recommend is using LDD Extended. There are quite a few more pieces, and you can get the colors right. I thought you don't need to do that any more. It's unlocked by default isn't it? Unlocked, but you still have to select it from the home menu. 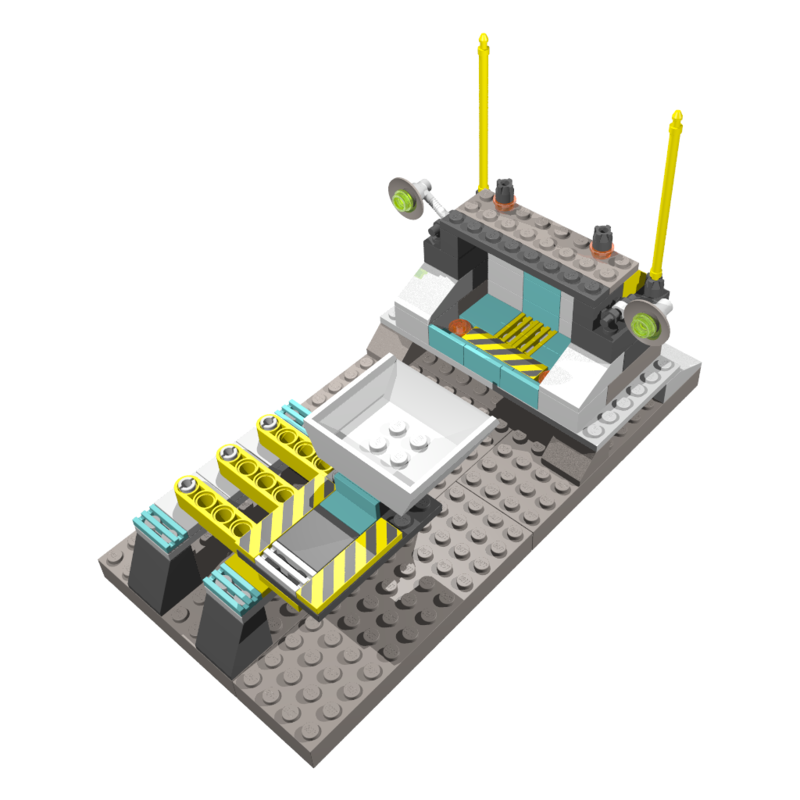 Besides the slight absence of some parts and the fact that the front of the Support Station is facing away from the builder, I appreciate that you built them and posted the instructions. Others have reproduced the buildings but I don't think anyone has posted the steps. Would be nice if we had a repository of them. These are very nice, and I think many will find them useful, too. It's not always too easy to see what bricks are used in game. If modding isn't easy, I can always Photoshop the building instructions to show the right pieces. A file repository sounds great, my idea was to make these files easily accessible. 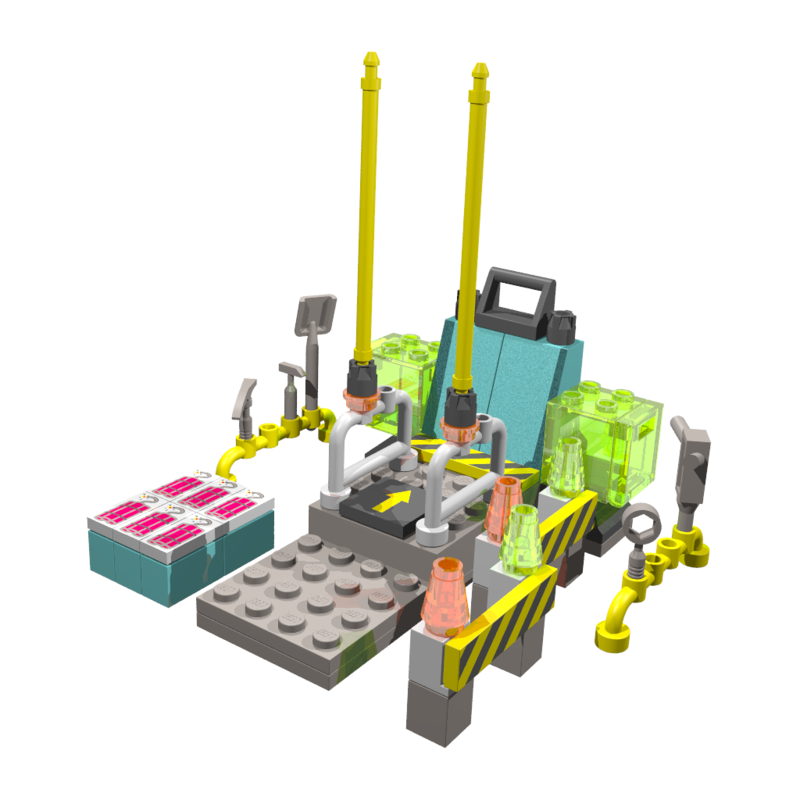 I've updated the first post with three new sets of instructions - the Ore Refinery, Tool Store and Tunnel Scout. 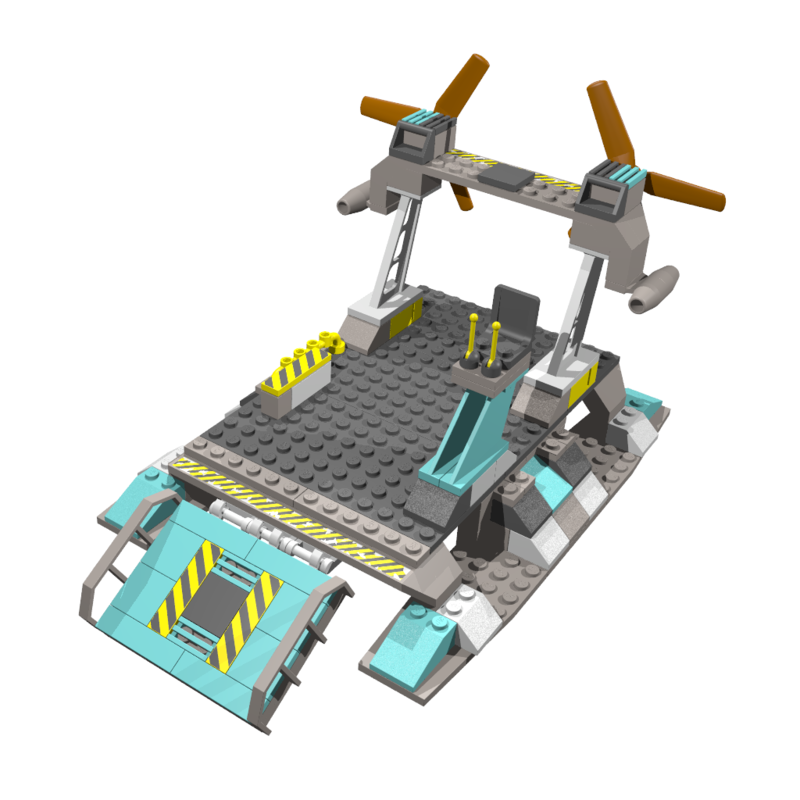 I accidently saved over the Support Station, so I had to rebuild it, however this turned out to my benefit as it is rotated correctly now and a little more accurate to the actual thing (I think). I'm not sure how accurate they all are, again please post any errors I've made! The Power Station is nearly finished, I just need help with the inner section of the tall building. EDIT: I've also added the Docks (although I'm unsure how to do the interior as the booklet/game screenshots I took aren't clear, so I've left it out for now), and the Cargo Carrier. I've updated all the instructions now, including completing the Power Station and Docks. They should be very accurate to the game now, I actually put LRR on one monitor and LDD on the other for a full, real-time 3D comparison (sounds snazzy). I still have the Geological Centre, Small and Large Mobile Laser Cutters to do though. 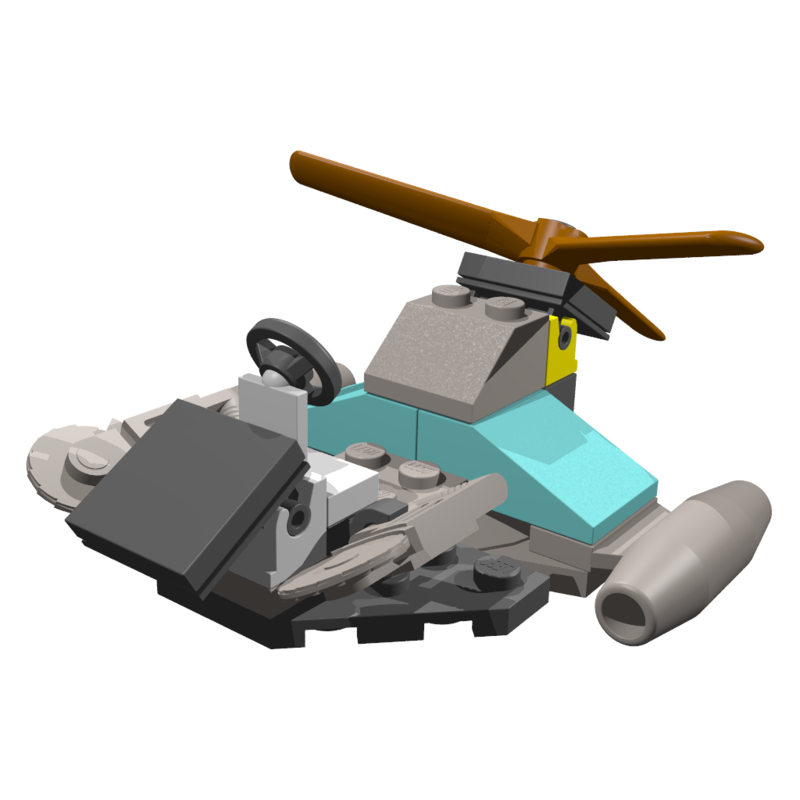 Plus, either replace the parts in LDD itself or create a list of the proper pieces. I think the instructions for the Power Station looks great! Thank you - not having the models physically I didn't see this - I've fixed it up. I guess in some cases functionality has to take over accuracy, I've made one or two changes elsewhere for similar reasons, if I remember correctly. I've done this now, too, it looks sturdier that way. The only downside is that it's a plate thicker, but if the vehicles are boarding through a 1-block-high Docks then it's actually perfect! I feel so stupid, this has been posted a few times now and I was sure I had, turns out I was in the wrong tab all along... It's got the right colours now, although I didn't see the patterns (and I'm pretty sure on this one) so I may Photoshop them. I am now quite tempted to build a Rock Raiders scene based on one of the levels. 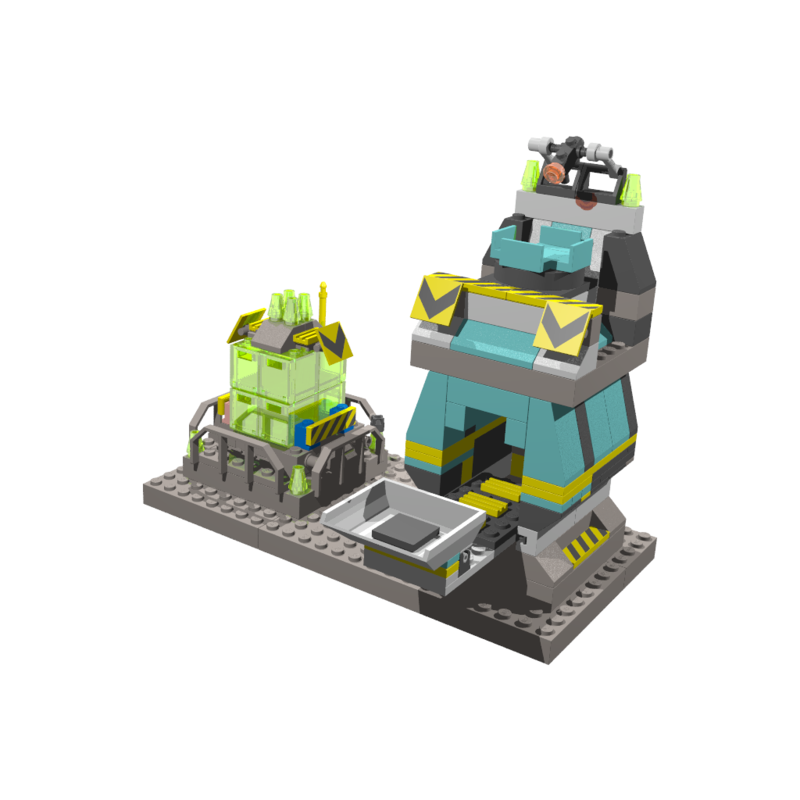 Haha, well I used to make Lego animations, and am considering making one when I get a full Rock Raiders base... Although I'd need some kind of story, and either a voluntary voice actor or no dialogue. Also I've made some modifications, due to some pieces not actually existing. I haven't done any more work on this for nearly two months, but I'm gradually going back and rounding up projects I started and didn't finished - this included. I've updated the original post with all the links. EDIT: Oboe Shoes has provided the SMLC instructions (thanks!) 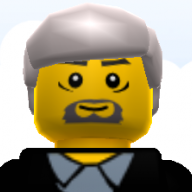 and all PDFs have been updated to include the advanced shading options in LDD, just to look nicer. 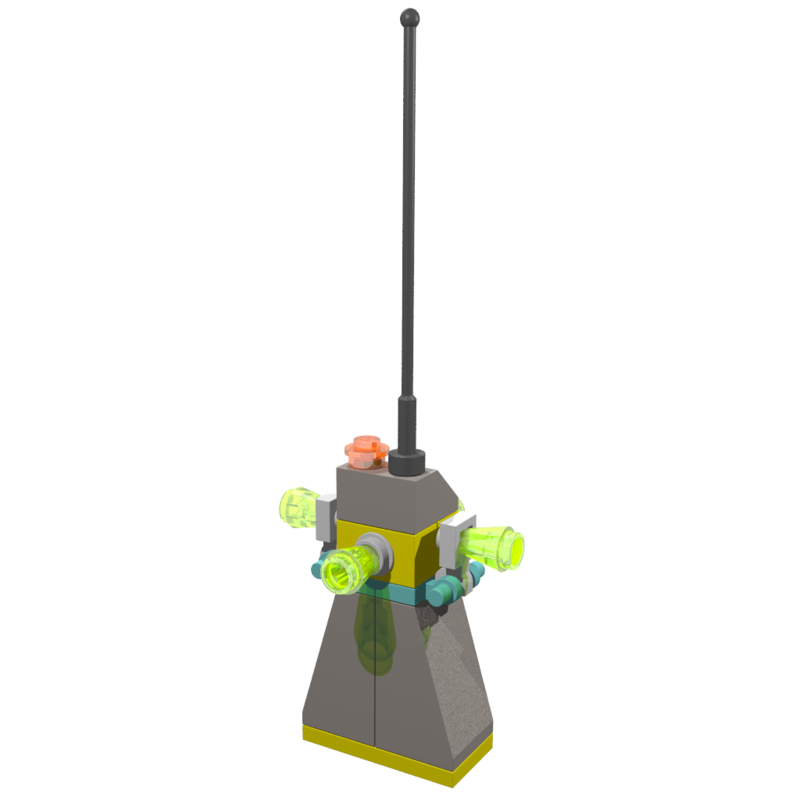 Updated - all models have been rebuilt in LeoCAD, printed in LPub and rendered in LDView/POV-Ray. Thanks Arthuriel for showing me how. Links have been updated to have both HTML and PDF versions, and preview images have been posted. Please let me know if any links are incorrect. 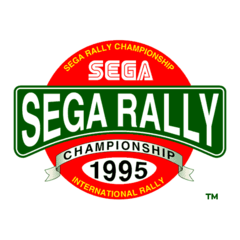 I will also endeavour to add a list of replacement parts for each set. Of course, this isn't 100% either, but it was easier to show a picture than explain what was wrong with it. Ah yes, thank you very much for pointing that out. I'll try and update it soon. Looking at the image here, it doesn't appear to have a ladder, but if the in-game one does than I'll include them too. Looking at the image here, it doesn't appear to have a ladder, but if the in-game one does than I'll include them too. It's barely visible at this angle but you can tell that it's there. Those models are not entirely accurate to the game and set versions. Look at the teleport station and the tool store! Excellent, thank you. I guess I'll have to order a couple more parts from Bricklink as my current order has now been proven inaccurate! The Tool Store and Teleport Pad shown in the manuals (and thus the link I posted) are different to the models that appeared in the game. As I said in my original post, I decided I'd go with the in-game models over the manual ones where there were discrepancies, but if I get the time I may create the alternate versions too. Sounds like a neat idea. If you look at the buttons on the GUI in-game the icons on the buttons match the instruction manual almost exactly. Also of note, this 'beta' teleport pad became part of the tool store in the final. Fushigisaur is right about the design of the Docks. When I was building my version of the Docks for the Rock Raiders Buildings and Vehicles topic, I got really up close and personal with the Docks, as seen in these two screenshots, especially screenshot on the RRU Wiki (previously linked to by Fushigisaur) is rather dark and hard to make out details. Looking at the textures, especially in the first screenshot, you can clearly see the ladder bricks, plus the fact that, despite the model (due to graphical limitations in polygon) appearing to be one continuous curve, the grey section would be sloped while the teal section would be straight (see the textures on the "back wall" of the Docks). In addition to what Fushigisaur pointed out in regards to the renders of the Tool Store and Teleport Pad, take a gander at this beta screenshot which clearly shows the beta Tool Store in-game, lending more weight to the theory that these renders represent how these buildings appeared in-game during beta. Since the beta Teleport Pad is basically a segment of the final Tool Store, you're already all set in that regard, but it might be fun to add instructions for the beta Tool Store. I certainly had fun building it. Wow, thank you for those screenshots. I can see now that my mistakes were made from the textures being square and consequently, as you pointed out, making the indents appear to be angled. I'll probably build the beta Tool Store and stick in the alternate Teleport Pad for good measure.